VW CEO Winterkorn says the company won't add a motorcycle brand to its portfolio. 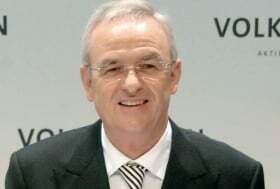 WOLFSBURG – VW Group CEO Martin Winterkorn is satisfied with the performance of subsidiaries Skoda and Seat. Winterkorn said Skoda is expected to sell 1.5 million cars in 2018, up from 762,600 units last year. "Skoda is one of the world's fastest growing automotive brands," Winterkorn told Automotive News Europe. "And Skoda shows how successful our multiple brand strategy is. At its core, Skoda stands for affordable, technologically solid cars that perfectly fit the spirit of the times. We continue to sharpen its positioning since millions of customers in China, Russia, India and Europe are awaiting the right products from Skoda." The CEO said that VW Group's money-losing Spanish brand, Seat, is on track with its restructuring. "Seat is now heading in the right direction in numerous ways. Sales are rising, great new cars are coming out and the brand is now competing in China," Winterkorn said. "I must say, I am pleased with what is happening at Seat right now." Contrary to repeated rumors, VW won't add a motorcycle brand to its portfolio that encompasses everything from minicars to heavy trucks. "Motorcycles are without question beautiful objects. But there are no plans to enter this line of business," Winterkorn said. Production plans for the ultra-fuel-efficient XL1 two-seater are proceeding. Said Winterkorn: "We will start small series production by 2013 – in Germany." Company sources told Automotive News Europe the car will be produced in either Dresden or Wolfsburg.